With summer in the rear-view mirror, it's back to school, work and everyday routines. We took quite a few road trips over the past couple months, everywhere from Atlantic City to Hershey to D.C. Time to start planning another vacation, I'd say. Today is the last day for voting in CBS Philadelphia’s Most Valuable Blogger contest. Please support Gluten Free Philly by casting your vote through this link. On Tuesday, I featured local ice cream maker Jack & Jill, which got its start in Philadelphia more than 80 years ago. Pepperoncini Sotto in Phoenixville (184 Bridge St., 484-924-8429) notes gluten-free items on its dinner menu. Thanks to Sharon A. for the tip. Burger.org on Philadelphia's famed South Street (326 South St., 267-639-3425) serves kosher beef burgers and fries that are gluten free. New to the Main Line is Top This, a fro-yo store in Penn Valley (707 Montgomery Ave., 610-668-1333) with many gluten-free flavors, clearly labeled as such. Among safe toppings are Fruity and Cocoa Pebbles cereals. Hat tip to reader Debbie M.
Dana P. posted on the Gluten Free Philly Facebook page that Bonterra Market in Egg Harbor Township (3112 Fire Rd., 609-484-1550) carries gluten-free frozen mozzarella sticks, among other products. Readers Amy P. and Marcella P. report that Altomonte's Italian Market in Warminster (85 N. York Rd., 215-672-5439) is stocking gluten-free items such as Conte's pasta products and Domata Living Flour. No Whey no more: Tom P. let me know that No Whey Health Foods, a natural foods store in Pitman, New Jersey, is closing tomorrow. Pure Tacos, the all-gluten-free Mexican spot on the Ocean City Boardwalk, is scouting storefronts in Center City Philadelphia with the intention of opening in town by late fall. Contrary to a report elsewhere, the location has not yet been finalized. Also before year's end, look for Good Witch Bakery to open near South Street (622 S. 6th St.). According to an article in the Temple News, the 24-hour cafe and bakery will have gluten-free and vegan options. Returning this fall is Woodchuck Hard Cider's Private Reserve Pumpkin, a high-end cider with a 6.9% alcohol content. The limited-edition cider will be available at retailers in New Jersey and Delaware (but not Pennsylvania) in September and October. 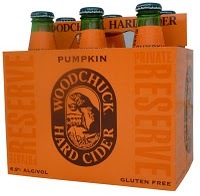 As with all Woodchuck Ciders, the Pumpkin Cider is naturally gluten free. 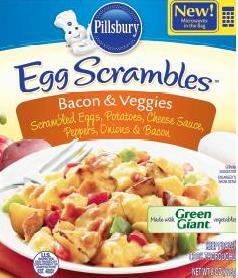 Pillsbury Egg Scrambles are frozen breakfast dishes that come in three varieties, all gluten free: Bacon & Veggies, Sausage and Sausage & Veggies. They can be prepared in a microwave oven in about five minutes. On Tuesday, September 13 (which, incidentally, is National Celiac Disease Awareness Day), Whole Foods Market in Plymouth Meeting (500 W. Germantown Pike, 610-832-0010) will host "Introduction to Gluten-Free Baking." In this class, Genevieve Sherrow, author of Gluten-free Warrior, will teach attendees how to experiment with gluten-free ingredients and prepare recipes such as Blueberry Lemon Cornbread, The Warrior's Jewish Apple Cake and Peanut Butter Chocolate Chip Walnut Cookies. The class will run from 6 p.m. to 7:30 p.m.; the cost is $10. Today is the last day to reserve a spot at the gluten-free Local Roots Dinner at Kimberton Whole Foods in Kimberton (2140 Kimberton Rd., 610-935-1444), to be held on Friday, September 16 at 6:30 p.m. The dinner brings together local farmers, store staff and neighbors and will include local farm products to be showcased in dishes. The cost is $45. Gluten-Free Saver is a new Groupon-style deals site launching this fall that focuses exclusively on gluten-free products. It's a free service, and subscribers will receive emails as deals are announced. If you sign up before September 30, you'll be entered to win an Udi's Gluten-Free gift basket valued at $100.